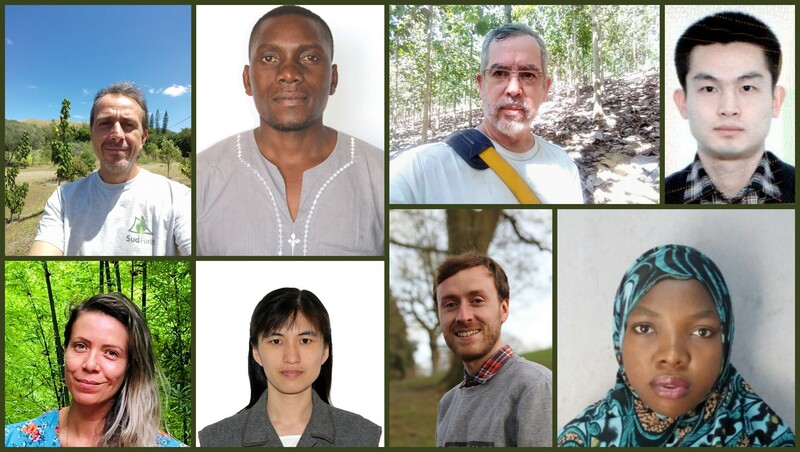 WFI’s team of International Fellows is selectively chosen from the forestry profession around the globe. 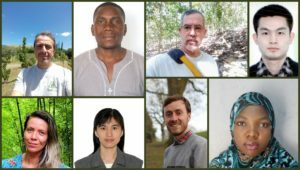 In a program unique to the industry, these Fellows serve six-month Fellowships at WFI, using a wide range of skills, expertise, and language abilities to complete an independent project. Fellows participate in the program through the U.S. Department of State’s Visa Exchange Visitor Program. The purpose of the Exchange Visitor Program is to promote mutual understanding between the people of the United States and the people of other countries through educational and cultural exchanges. The WFI Fellows learn about sustainable forestry in Oregon and carry that knowledge forward globally, promoting best practices when they return home. Richard Banda holds a Bachelor of Science in Forestry and a Diploma in Agriculture and Natural Resources Management. Richard most recently worked at Alliance One as a Forestry Officer for the company’s reforestation project in Viphya Plantations, the largest forestry plantation in Malawi. 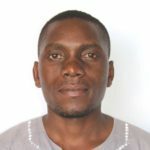 In addition, he has worked at Chitakale Tea Plantations in Mulanje as a Field Officer and at the Ministry of Agriculture as an Agriculture Extension Development Officer. Richard is also working as a volunteer at Wildlife and Environmental Society of Malawi, Mzuzu Branch as a Project Officer. Working with these organizations has given Richard experience in designing, implementing, and evaluating integrated developmental programs focusing on agriculture, rural development, and natural resources management. During his Fellowship, Richard intends to carry out a study to help plantation growers understand their cost of production and selling prices so that they can make appropriate management decisions that are critical to remaining competitive. Fen-hui Chen received her Master of Science in Plant Taxonomy in England and her PhD in Forest Science at Oregon State University. She has been working as a contract researcher in the Silviculture Division of the Taiwan Forestry Research Institute (TFRI), the sole governmental research institute focusing on forestry, since 2010. One of Fen-hui’s main responsibilities is to provide recommendations to the government on forestry policy based on research data. 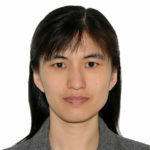 Fen-hui’s research interests include agroforestry, restoration ecology, and vegetation ecology. She especially wants to promote the concept of agroforestry in Taiwan. During her Fellowship, Fen-hui will conduct a study on Sustainable Management, Ecological Monitoring, and Extension Strategy in Agroforestry. Temitope Dauda holds a Bachelor of Science degree in Forest Resources Management and a Masters in Forest Economics and Management from the University of Ibadan in Nigeria, where she is currently a PhD Candidate. 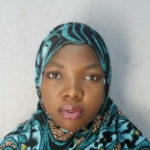 She also serves as faculty at Bayero University Kano where she teaches Forest Economics and Management. Temitope has conducted research on indigenous tree species in southwestern Nigeria and on biodiversity assessment of different agro-ecosystems in northwestern Nigeria. At the World Forest Institute, Temitope will be conducting research on the Application of a Landscape Approach to Designing Multifunctional Landscapes with a focus on incorporating socio-ecological systems of landscapes into the design and management of multifunctional landscapes. 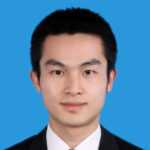 Zhongyuan Ding works in the Human Resources Division of the Chinese Academy of Forestry. 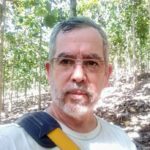 He has experience in capacity-building for early-career forest scientists and managing programs aiming at enhancing communication and cooperation between forest scientists at research institutes and technicians in the field. Zhongyuan holds a Master of Environmental Science from Lanzhou University. His project at the World Forest Institute is titled “Human Resources Management and Employee Training & Development Underpinning Forestry Research & Development” and aims to investigate how to better engage young professionals in forest management to attain a high quality and sustainable workforce and to enable them to promote productivity and creativity in forestry research and development. Zhongyuan plans to use the networking opportunities provided through the Fellowship to know more about applicable platforms and resources to this end. Ana Kanoppa is an expert in economic and forest policy with an MBA in Environmental Management and a Master of Science in Regional Development and Environment. 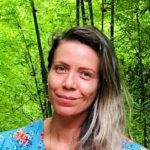 She has been working since 2008 as a consultant in the Brazilian Amazon rainforest and has executed and elaborated local and regional projects in incentives for ecosystem services, costs and viability for sustainable supply chains, sustainability, and climate change. At the World Forest Institute, her goal is to study successful mitigation initiatives for climate change, specifically in public policy, carbon markets, and innovative financial mechanisms for conservation. Her research aims to investigate the main differences between regulated and voluntary carbon markets in tropical forests and Pacific Northwest forests as well as their respective contributions to global climate control and compliance with international climate change agreements. Will Maiden studied at Harper Adams University in England, graduating with a degree in Countryside Management. Much of William’s experience comes from his time as a local authority Park Warden at the 260-acre Lydiard Park, where he was responsible for implementing a forestry management plan dealing with tree pest and disease outbreaks in a busy public park. 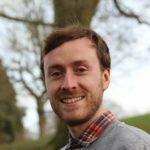 Since then, Will has continued to work in local authority, most recently with the Royal Wootton Bassett parks department in the management of the town’s greenspaces. The increasing threats posed by tree pests and diseases and the impacts of climate change on forests are to be the focus of Will’s work at the World Forest Institute. He intends to look at the implications that pests, disease, and climate change pose to the forest products and non-timber industries and to identify areas of good practice which will be applicable to the tree pest and disease issues being faced in the U.K. Will has continued to build on his qualifications, most recently gaining a Diploma in Arboriculture and continues to study part-time for a Master in Science in Environmental Management, which he intends to complete on his return to the U.K.
Romain Matile is a senior forest technician working for a New Caledonia-based forestry company in the South Pacific. His previous roles include working as a forestry expert at the Civil Security and Risk management Direction for the New Caledonia government, sworn officer in charge of forest protection management for the French Ministry of Agriculture and Forests, field controller of the European Subsidies for Agriculture and Forestry Development, biology and ecology teacher, and lumberjack. In May 2018, Romain participated in the controlled-burn training-exchange program (COTREX) in Bend, Oregon. He holds a Master of Science in Population Biology and Vegetal Ecology from the University of Grenoble, France, a Higher-Technician Diploma in Forestry, a prescribed-burn boss formation, and a French firefighter training certification. Romain’s project with the World Forest Institute is to study the different impacts of controlled burns versus wildfire on the growth of timber wood. 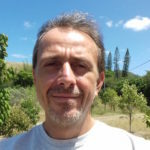 In addition, by studying forest protection policies implemented in Oregon, Romain wants to promote the development of controlled burning practices in France and New Caledonia that will contribute to more cost-effective efforts to protect natural areas. Rodolfo Vieto is a forester and forestry economist who is passionate about the design and implementation of efficiency-seeking decision support systems, strengthening forestry value chains, and promoting harvest scheduling for optimal forestry/agroforestry resource management and valuation. Rodolfo’s other interests include rural endogenous natural and cultural resource management and conservation processes, participatory rural development and conservation project design and evaluation, environmental conflict characterization and management, teaching (economics, tropical ecology, and computers in natural resources), and guiding academic and thematic tourism. Rodolfo holds a Bachelor of Science in Forestry from the Technological Institute of Costa Rica and a Master of Science in Forest Resources from the University of Idaho. During his Fellowship, Rodolfo will work on strengthening Central American sustainable forestry and agroforestry best practices and value chains, adding value to the forest through efficiency seeking management approaches and additional and innovative self-empowering “eco-cultourism” value chains.